Officially unveiled in January, DE2 is a 60,000+ square foot, $4 million building that was erected directly across the street from La Gran Fabrica Drew Estate. 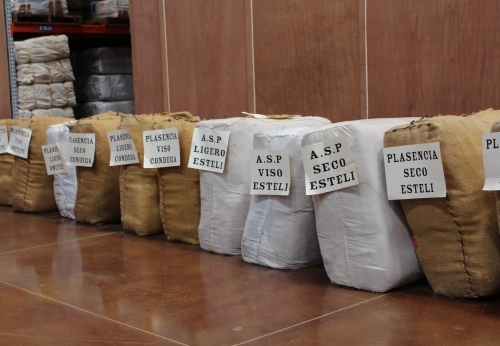 Whereas the company was previously renting smaller facilities around Estelí to process, ferment, age, and sort the tobacco it purchases, those operations have now been expanded and centralized in DE2. Nicholas Melillo led most of our tour of the facility. 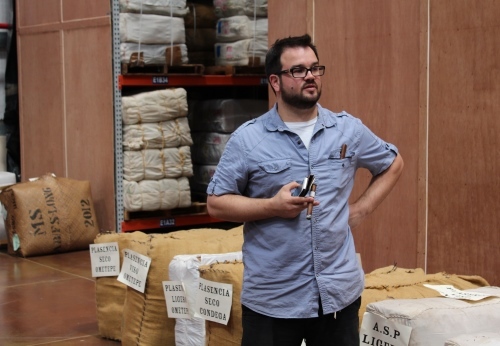 Currently Drew Estate has enough tobacco within the building to support two years of cigar making; Jonathan Drew aims to increase the supply to about four years. This will enable the company to withstand pricing pressures from its tobacco suppliers—a critical strategy especially with A.S.P. 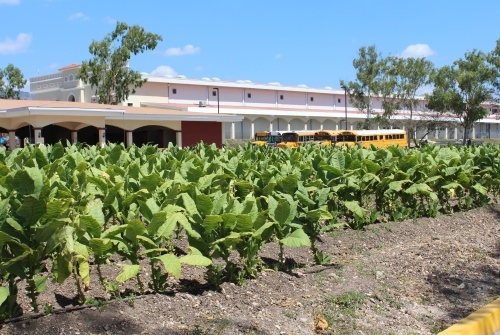 tobacco, which is in high demand. Speaking of tobacco suppliers, Drew Estate doesn’t grow any of its own tobacco, save for this small “experimental” field adjacent to DE2. But Jonathan Drew assured us that, within a few years, “you can count on Drew Estate being one of the largest tobacco growers in Nicaragua.” Such vertical integration represents a major shift in strategy for the company. 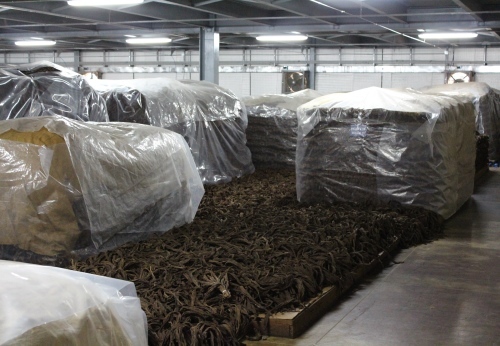 The basement of DE2 houses 300,000 pounds of tobacco (roughly $5-6 million) in pilones undergoing fermentation. It is equipped with state-of-the-art temperature gauges and fire prevention technology. One of the tobaccos aging here is a new Florida Sun Grown leaf that we’ll have more details on in the coming days. 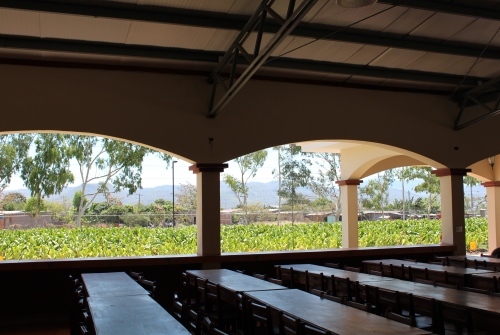 The land next to DE2 (which can be seen across the experimental field through the employee cafeteria) is also owned by Drew Estate. It is the likely site of DE3—another facility that will almost certainly be needed if the company is to meet its goals for expansion. I wouldn't mind eating in that cafeteria every afternoon. I assume it's cigar-friendly?